Iceland is a land in the making (literally), and a rising tourist destination. The landscapes are rugged black lava fields, icebergs and untouched volcanic islands, complimented by pristine Glacial Lakes and clean green cities. Circle the country on it's 1,339 kilometer Route 1 and see the intriguing country's volcanic features, gushing geysers, turquoise pools, cascades and incredible ice caps. You'll be in awe and astonishment at the nature of Iceland. Take the route in a Campervan and take your accommodation with you, stopping and staying in scenic spots or pulling over for a coffee in the back of the Motorhome. The road is single lane in most places, widening to more when passing through the larger cities. Some days you'll see thousands of cars and others you'll be pushed to see over 100, adding to the rural and untouched nature of the country. Begin the spectacular journey in Reykjavik, picking up your Motorhome from this clean green city. The little capital is home to dreamers, authors, poets, musicians and all sorts of creatives. You'll have to stop yourself from falling in love with the place and staying forever. 22 hours of sunlight in the middle of summer and the big city but "village" feel will have you hooked. 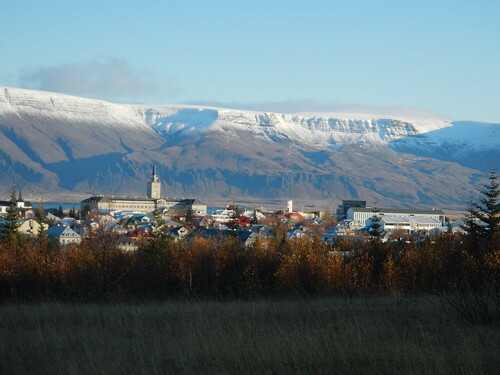 The town sits at the foot of snow topped mountains and is lapped at by the blue ocean. 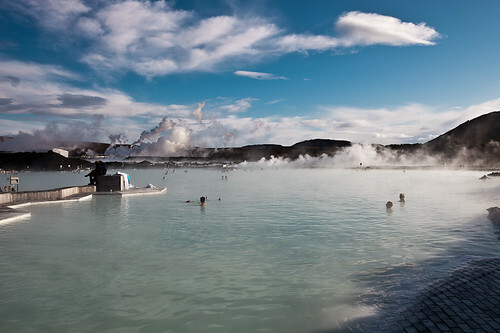 Enjoy some "mud treatment" in the Blue Lagoon geothermal complex or just bathe and relax. Eat some famous fast food Hot dogs, picnic on lawns or dine in one of the many delicious cafes. 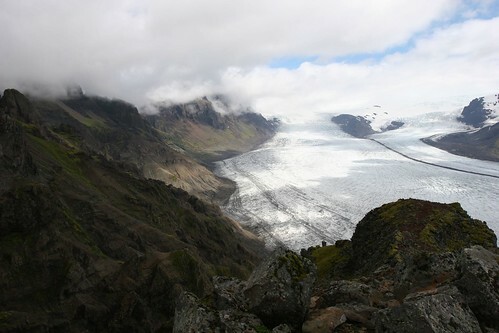 Hike through the beautiful Skaftafell National Park getting up close and personal with a glacier and don't miss Iceland's Geysir and Gullfoss, a regularly exploding geyser and majestic waterfall. Take a day trip into the interior and swim in the massive crater lake of Askja Caldera. Go sea kayaking form the eastfjords town of Seyðisfjörður, a bohemian artsy town. Spot whales on boat trips, see fire and ice at the Kverkfjöll Ice Caves or embrace the active volcano and lava flows of Mývatn. Why delay this superb journey, book a Motorhome to travel Iceland!